Cabinets and cupboards are crucial organizational components of any kitchen or bathroom. Yet, for such an essential element, homeowners often compromise on their cabinetry, settling for cabinets that neither complement their style or meet their needs. 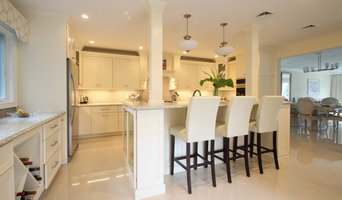 Custom cabinetmakers in Floral Park, NY has the transformative power to create a practical yet personalized space unique to you by creating custom cabinets that have all the storage elements you need as well as the stylistic ones. 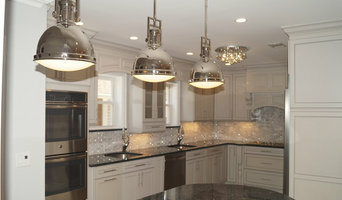 Custom cabinets have the benefit of being designed specifically for you in terms of both appearance and usability. 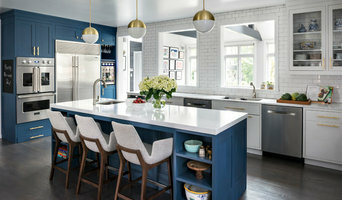 When it comes to stock cabinetry, you are limited to generic, cookie-cutter designs, dimensions and colors, which isn’t ideal for outfitting a uniquely shaped kitchen or for showcasing your personal style. Custom cabinets are solely crafted based on your specifications and needs, and while they are pricier than pre-made pieces, you’ll receive a higher level of craftsmanship and durability when you work with a professional on Houzz who specializes in custom cabinets in Floral Park, NY. Create an ideabook on Houzz and save examples of the custom cabinets you want — this will help your Floral Park custom cabinetmaker get on board with your vision and make your design a reality. Additionally, if you are undergoing a remodel, keep in mind that a blueprint needs to be finalized prior to any kind of cabinet building and installing; given the one-of-a-kind nature of a custom cabinet, room dimensions need to be completely finalized before any work can commence.